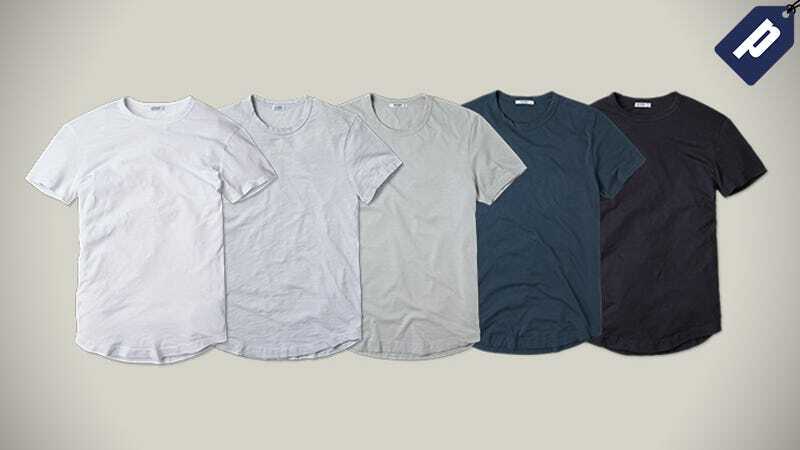 The Buck Mason Crew Tee is a classic, American made essential with a subtle, tailored fit. Thoughtfully designed, it’s ideal on it’s own or as an undershirt. Grab one for $28 and get free domestic shipping on your order with promo code DEADSPINFS. Buck Mason is about simplifying the way men shop, making quality wardrobe essentials (cut, sewn, and milled in Los Angeles!) that stay timeless through the ebbs and flows of fashion while keeping their shape through countless washes. The Crew Tee fit falls between a traditional slim and relaxed style, with a contoured bottom hem for that tailored touch. Plus, each fabric is custom milled for incredible breathability and exceptional softness. Grab your American made Crew Tee from Buck Mason for $28 and get free domestic shipping using promo code DEADSPINFS.